One year after she was discovered inside her Union Township home, the Union County Homicide Task Force continues to investigate the circumstances behind the stabbing death of Diane Mary Zaleski. 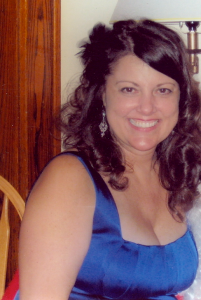 Zaleski, DOB 12-1-55 was discovered inside her Laurana Road home in Union on November 18, 2010 by family members, said Prosecutor Theodore J. Romanow. Zaleski suffered multiple injuries in the attack that led to her death, according to a report from the Medical Examiner. Over the course of the last year, the case has remained a priority for the Homicide Task Force and the Union Township Police Department. Over the last 12 months, members of the Task Force have consulted members of the FBI’s Behavioral Analysis Unit to help identify who might have murdered Zaleski. Given the forensic evidence recovered and analyzed, the Task Force is looking for a male suspect. Nearly 100 people have been interviewed and more than 80 men have been cleared as potential suspects, in some cases by use of forensic testing. As the anniversary of her death approaches, investigators are again appealing to the general public as well as friends, acquaintances, and the Zaleski family to recall the days before and after she was killed, in the hopes that a memory or credible piece of information will be recalled. After the homicide, the FBI says there could have been noticeable changes in the suspect’s personality. This could include increased alcohol or drug use, or mood swings. Given the media attention given at the time there could have been a strong desire to follow the case, or an extreme reluctance to discuss it. “In the last year this person’s life might have changed dramatically,” Romankow said, asking people to remember where they might have been and who they might have come in contact with in the days after Veteran’s Day and leading up to Thanksgiving 2010. Forensic evidence was recovered at the scene that shows the suspect likely suffered a cut on the hand or arm during the attack – including one that likely required at least the use of a Band-Aid. There were also likely defensive wounds in the form of scratches. “No matter how small an inkling, if there is someone who feels like they have information that can solve this case and give the family peace of mind, we urge them to come forward,” said Romankow. “A simple forensic test can exclude suspects quickly.” This has already been done many times over in this case. After the murder the killer remained at Zaleski’s house for several hours and attempted to use her credit card to purchase two specific electronic items, including a MacBook computer and an iPad. The transaction was denied twice. “Given that the suspect tried twice to purchase these items, it shows a strong desire to obtain them, and one that was likely accomplished later,” said Romankow. The fact that the suspect remained at the house in the overnight hours suggests that the person had reason to be out of the house during irregular hours, or would have made an excuse if questioned later. Anyone with information is urged to contact Task Force Detective Robert Henderson (908) 347-2686.Anonymous calls can also be placed to Union County Crime Stoppers at (908) 654-TIPS or via the Internet at www.uctip.org <http://www.uctip.org> . Tips that lead to an arrest and indictment are eligible for a reward up to $5,000.